March 9, 2018, 9:01 a.m.
By Laura Hazard Owen @laurahazardowen March 9, 2018, 9:01 a.m.
“It’s easier to be novel and surprising when you’re not bound by reality.” It’s not bots. It’s us. A paper published on Thursday in Science (it’s the cover story) by MIT’s Soroush Vosoughi, Deb Roy, and Sinan Aral tracks the spread of fake and real news tweets and finds that fake news both reached more people than the truth and spread faster than the truth — BUT there are caveats about the “true” news here: It was mostly news that had been fact-checked by outlets like Snopes and PolitiFact, not some of the legit-crazy real stuff that’s been in the headlines of the nation’s largest papers recently. The researchers looked at 126,000 “rumor cascades” spread by about 3 million people. A rumor cascade begins on Twitter when a user makes an assertion about a topic in a tweet, which could include written text, photos, or links to articles online. Others then propagate the rumor by retweeting it. A rumor’s diffusion process can be characterized as having one or more cascades, which we deﬁne as instances of a rumor-spreading pattern that exhibit an unbroken retweet chain with a common, singular origin. The true news was — again — primarily stuff that had been fact-checked; here, for instance, are the “Rating: True” stories on Snopes. Many of them are downright boring and not something that most people would bother tweeting about. (“Was Ex-California State Senator and Gun Control Advocate Leland Yee Arrested for Gun Trafficking?” Yes.) In order to help generalize results beyond fact-checked stories, however, the researchers had three college students analyze a second sample of more than 13,000 rumor cascades that hadn’t been verified by any fact-checking organization. “When we compared the diffusion dynamics of the true and false rumors that the annotators agreed on, we found results nearly identical to those estimated with our main data set,” the authors write. 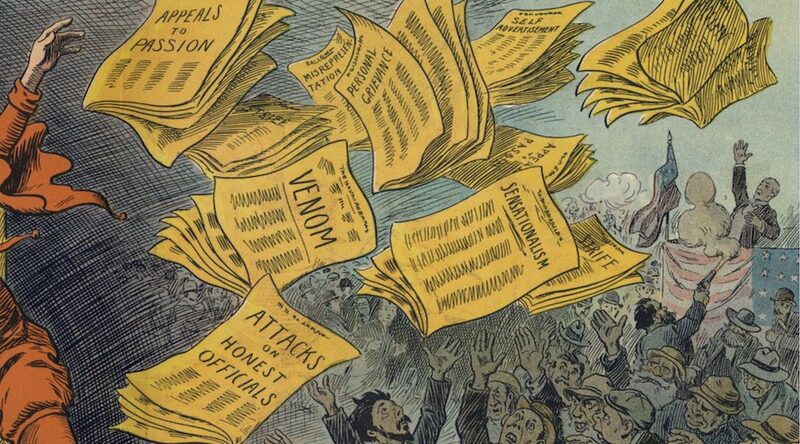 Some political scientists also questioned the study’s definition of “news.” By turning to the fact-checking sites, the study blurs together a wide range of false information: outright lies, urban legends, hoaxes, spoofs, falsehoods, and “fake news.” It does not just look at fake news by itself — that is, articles or videos that look like news content, and which appear to have gone through a journalistic process, but which are actually made up. Therefore, the study may undercount “non-contested news”: accurate news that is widely understood to be true. For many years, the most retweeted post in Twitter’s history celebrated Obama’s re-election as president. But as his victory was not a widely disputed fact, Snopes and other fact-checking sites never confirmed it. But many researchers told me that simply understanding why false rumors travel so far, so fast, was as important as knowing that they do so in the first place. Agree with the premise of the thread. Our analysis is of *fact-checked* stories. We have a robustness dataset of non-fact checked stories with the same results, but it is much smaller. Finally the team decided to look more closely at the tweets themselves. As it turned out, tweets containing false information were more novel—they contained new information that a Twitter user hadn’t seen before — than those containing true information. And they elicited different emotional reactions, with people expressing greater surprise and disgust. That novelty and emotional charge seem to be what’s generating more retweets. “It’s easier to be novel and surprising when you’re not bound by reality,” coauthor Roy said told Scientific American’s Larry Greenemeier. My main takeaway from #emeMIT so far: we really, really need to connect the East Coast critics with the West Coast engineers. Engineers aren't up on the research. Critics cannot suggest better algorithms. I go between these worlds. Talk to me. POSTED March 9, 2018, 9:01 a.m.
Owen, Laura Hazard. "Fear, surprise, disgust: Fake news spreads faster than some real news on Twitter." Nieman Journalism Lab. Nieman Foundation for Journalism at Harvard, 9 Mar. 2018. Web. 25 Apr. 2019. Owen, Laura Hazard. "Fear, surprise, disgust: Fake news spreads faster than some real news on Twitter." Nieman Journalism Lab. Last modified March 9, 2018. Accessed April 25, 2019. https://www.niemanlab.org/2018/03/fear-surprise-and-disgust-why-fake-news-spreads-faster-than-real-news-on-twitter/.